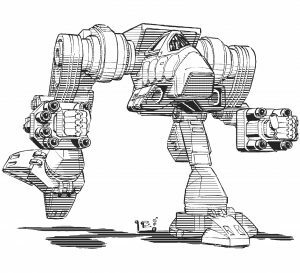 In BattleTech there are many philosophies that guide ‘Mech designers in choosing their armaments. Some go for the well balanced approach, ensuring they have a good mix of long and short range weapons. Others look to have a mix of ammunition and energy weapons, ensuring the chassis has a brutal punch at the beginning of the fight but also retains combat effectiveness if the battle goes longer than expected. Still others opt for the long range sniper approach, mounting ER PPCs, Gauss Rifles, and Ultra AC/2s in order to pick off their foes before they can close. Then there’s those engineers that say “to hell with it” and throw on as many lasers as the ‘Mech can carry. I of course speak to the illustrious and proud history of the “laser boat”. There are many reasons to mount a solely energy based armament, such as never having any concerns for ammunition or resupply. Perhaps the greatest reason to load up on lasers is their sheer efficiency. 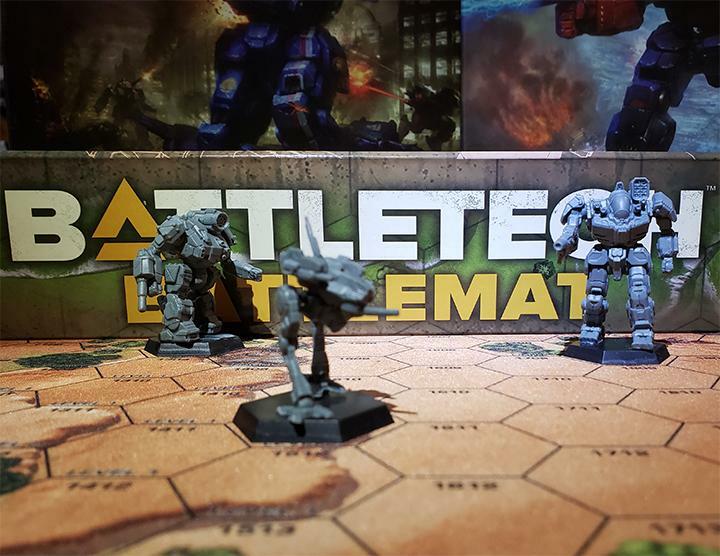 Ton for ton, crit for crit, lasers are some of the most efficient weapons in the BattleTech universe, allowing even the lightest ‘Mechs to carry an armament that would strike fear into the hearts of much heavier opponents. 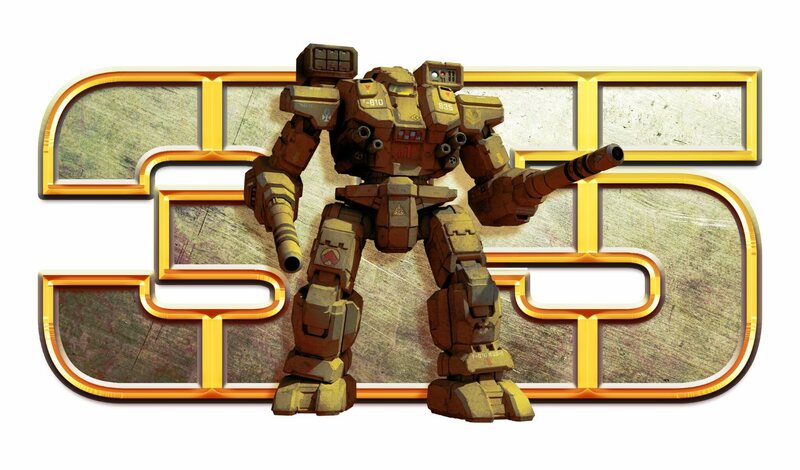 Here we take a tour of some of BattleTech’s most famous laser focused ‘Mechs. There are many ‘Mechs that contain lasers as their primary armaments, but today we will limit our discussion to ‘Mechs that solely mount laser based weaponry. Perhaps the poster child for laser boats, the 50 ton Nova Prime mounts a staggering 12 Clan ER Medium Lasers. While this armament gives the ‘Mech an alpha strike second to none in its weight class, it also runs the risk of cooking the pilot in their cockpit. With a mere 18 double heat sinks to combat a total heat per alpha of 60, the Nova suffers near catastrophic penalties to fire its full armament and is very likely to shut down immediately. That said, whatever’s in the Nova’s sites is in for a very bad day. If all lasers strike, a total of 84 damage is enough to devastate all but the most largest of opponents. If fired from behind the Nova is almost guaranteed a kill on any ‘Mech. The Inner Sphere is no stranger to laser boats, with the Federated Commonwealth’s Wolfhound as an outstanding example. Armed with 4 Medium Lasers and a single Large Laser, the Wolfhound is much better equipped to handle its heat load than the Clan Nova. Even still, firing all of its weapons would result in massive heat buildup that would require it to stagger its weapons fire for the rest of the battle. A common refit to the Wolfhound would see the removal of the rearward firing laser for the addition of an extra heat sink on the WLF-1A. The upgraded WLF-2 would give the Wolfhound double heat sinks and largely solve the chassis’ heat concerns altogether. 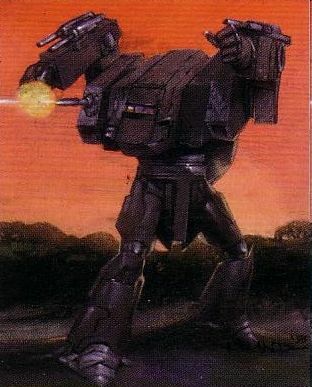 Only the addition of the ER Large Laser in place of the normal one would cause the ‘Mech’s heat to increase substantially with sustained firing. 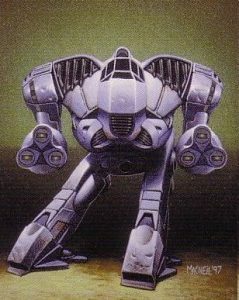 Light ‘Mechs stand to benefit the most from the efficiency gains provided by laser-based weaponry. On no other ‘Mech is this more readily apparent than the Firemoth Alt. Config D. With 5 ER Medium Lasers tied to a Clan Targeting Computer, the Firemoth D is capable of a withering fusillade of precision fire that is able to punch well above the Firemoth’s 20 tons. 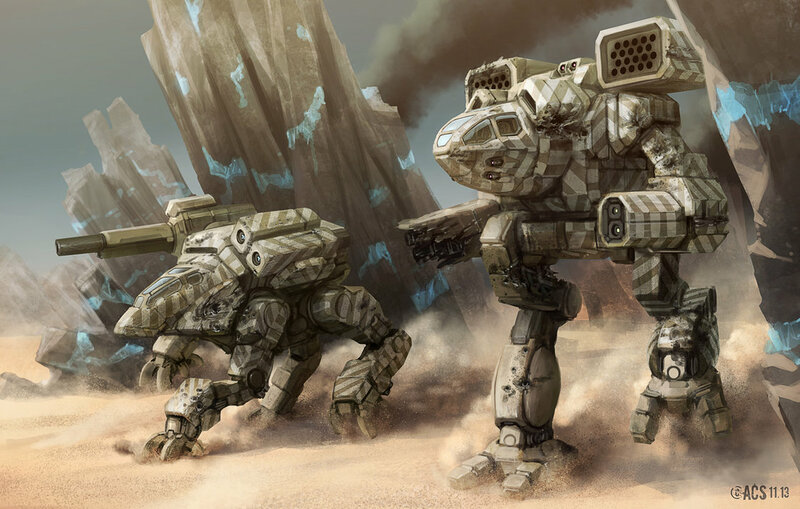 The standard 10 double heat sinks are sufficient to keep the ‘Mech cool even with sustained fire, and a single Flamer assists in anti-infantry duty when necessary. 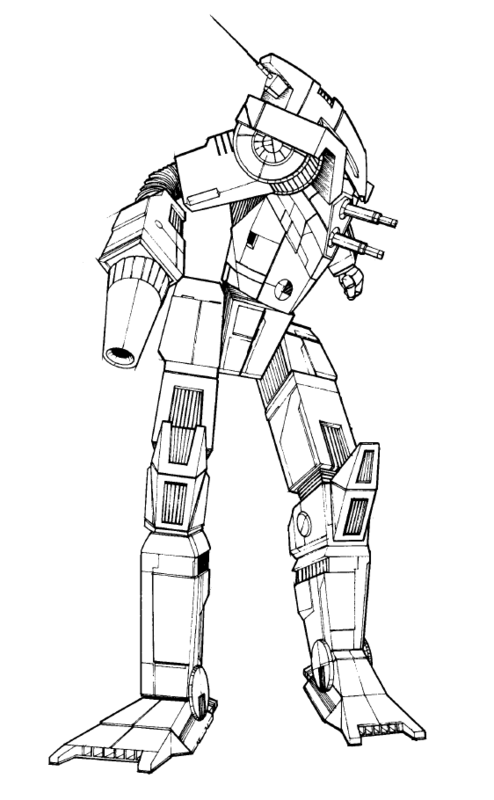 A ‘Mech affectionately nicknamed the “flashbulb”, the Flashman uses its heavier weight limit to stack even more efficient laser weaponry. The FLS-7K comes armed with 5 Medium Lasers and 2 Large Lasers, giving it a punch at short and medium range. 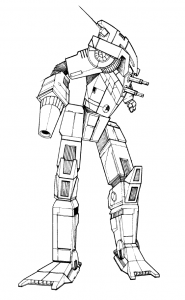 15 single heat sinks allow the ‘Mech to fire either Medium Lasers or Large Lasers indefinitely, however alpha striking causes a debilitating heat build up for the pilot. While the previous ‘Mechs have appeared in multiple MechWarrior games, the Flashman has only been seen once in MechWarrior 2: Mercenaries. 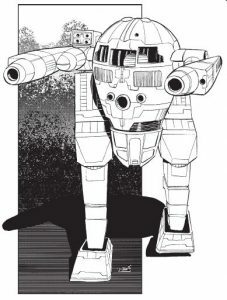 A terrible shame given the ‘Mechs iconic design and devastating firepower. Here’s hoping we see a resurgence of the giant, death-dealing light bulb. 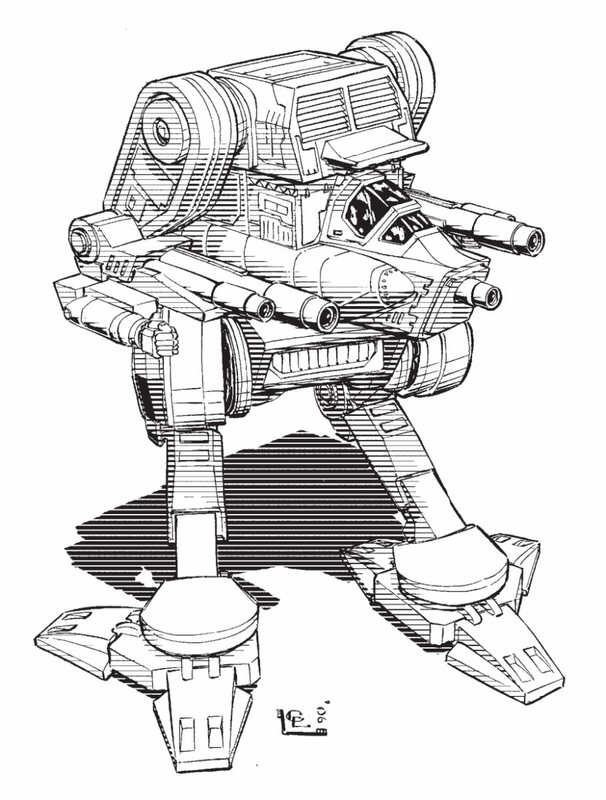 Even the heaviest ‘Mechs stand to benefit from the use of laser weaponry. While it may seem that the Supernova is an upscaled Nova, the Supernova was actually designed first. Shortages of AC/20 ammunition lead Clan engineers to replace their King Crab’s weapons with clusters of Large ER Lasers, and from this the Supernova was born. The Supernova does however share the Nova’s same design philosophy: mount far more lasers than it can effectively use for a single devastating alpha strike. 6 Clan Large ER Lasers allow the Supernova to fight at range for extended periods, however constant use of the full armament will lead to debilitating heat problems and inevitable shutdown. Most Supernova pilots stagger-fire one arm at a time in order to deal with the heat buildup. Not every laser boat has heat problems to contend with. The Clan Stormcrow has a primary energy configuration while simultaneously mounting enough double heatsinks to fire all of its weapons indefinitely, even on the move. 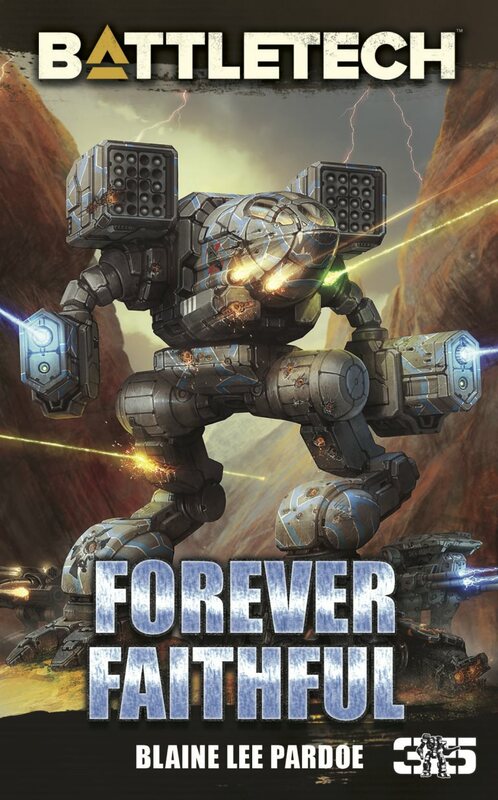 Only outside forces, such as Flamers, Inferno missiles or engine damage will ever cause this ‘Mech to overheat. Armed with twin Clan Larger ER Lasers as well as a backup battery of 3 ER Medium Lasers, the Stormcrow is able to hit at all ranges effectively. 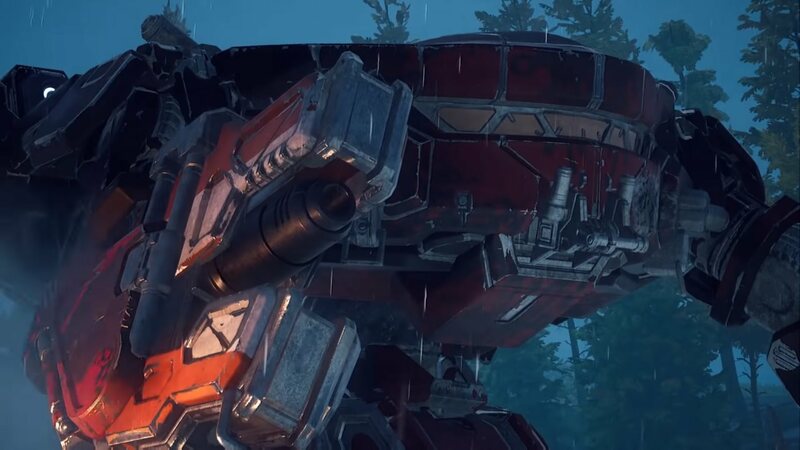 The ability for lasers to be fired at both long and short range means the Stormcrow has an overwhelming sustained alpha strike that is capable of incapacitating much heavier opponents quickly. 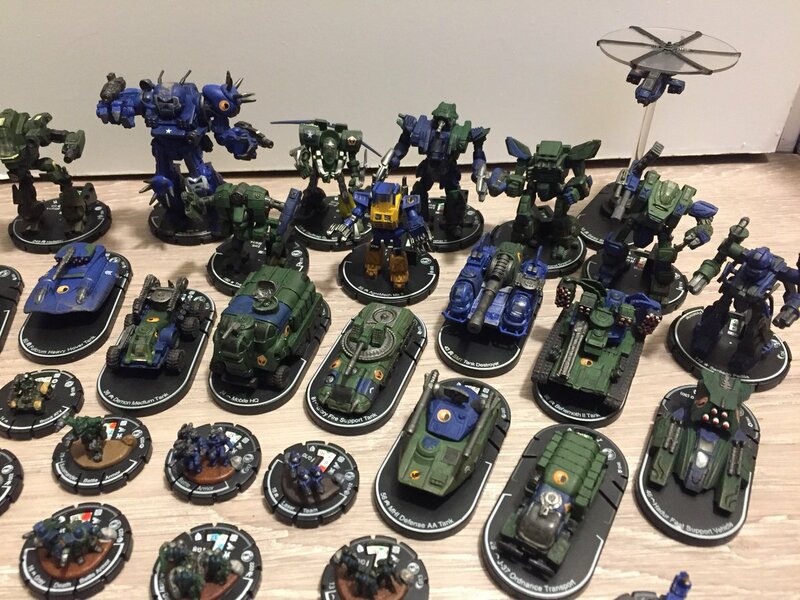 What’s your favorite laser boat ‘Mech? Let us know in the comments! This entry was posted in Editorial on 2017/05/17 by Sean. 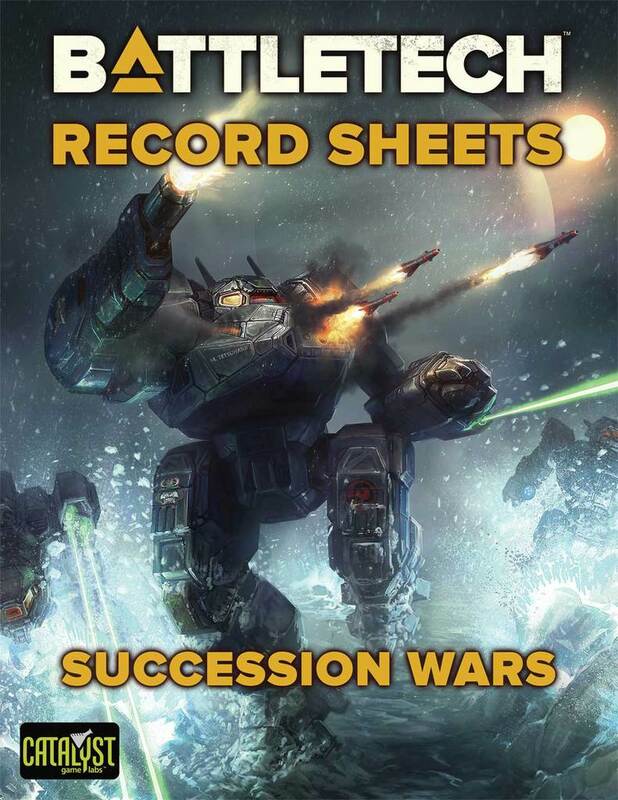 The Battletech universe is unbalanced as hell, the king is always laser weapons, ton by ton and damage by damage there is no reason not to use laser-only configurations, the ballistic weapons even heat the mech up to 85% of their laser counterparts, and ballistic have several miss-fire rules that make the weapon unreliable (ammo detonation, weapon jam, bigger critical size, etc), whereas laser weapons have almost no hindrance. SRM 2 Inferno Rounds = 10 extra heat is the only reason why you do not want to run all lasers all the time. That and Firestarters who are all heat not damage. Just some silly mechs. But The reason why AC weapons Jam is because they can also auto fire. Close range shots if your to hit number is 7 rapid fire will most times hit twice. AC20 x2 shots is a gamble but it is devastating. I love the Crab, the design makes sense when you think about what it was made fore. And to me makes the most sense for a Laser Boat. Whiles it’s Alpha Strike is lower compared to many other mechs in it’s weight class, it’s still decent. It can fire on the run at a good heat curve, and it’s super easy to repair. Thus this mech is the perfect guerrilla / deep strike mech. I fell in love with the ERML in MW2 mounted on a Nova. In every game since the ERML has been my weapon of choice. Sure I take a long range range laser or maybe two, but I always load at least 4 ERMLs in the torso if I have the slots. ammo using weapons go in the arms so I do not have to worry about ammo cooking off and killing my Mech and if I lose the arms, I still have my primary weapons. Phantom and Komodo anyone? For that matter…Solitaire? Jenner F as a ‘laser boat’-lite? Also some of the Blackhawk-KU variants. I don’t remember off the top of my head but I think it’s the BHKU-O that has all the lasers on. The Rifleman IIC is kind of fun if you are looking for pure laser deadliness (4 Large Pulse Lasers with nearly enough heat sinks to fire them all!). The Penetrator PTR-4D is great for city fighting with 6 Medium Pulse Lasers and can survive in the open with it’s paired ER Large Lasers. It’s also a magnificent zombie for the time period due to its lack of XL engines. Another classic is the Wraith TR1. It’s just a great all-round harasser. In 3025, I also like the Ostsol OTL-4D and the Phoenix Hawk PXH-1D. Eight ER Large lasers with eighteen double heat-sinks. Another fun laser- boat is the Clan Locust IIC.